A melody softly soaring through my atomosphere. 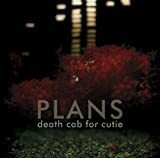 I love this album (Death Cab for Cutie’s, “Plans”). I was lured to it by the song “Soul Meets Body.” I was just listening to it on my iPod and couldn’t help singing along with the tune. Raf came into the room and asked “were you singing?” Like, he was hearing things or something. But he wasn’t. It was I. Probably sounding like a screeching cat, but oh well. don’t you just love how music can take you back to another time? I love that! and yes, I agree, this is a great album. If it makes you feel any better, Mik had to come down one night and ask me to keep it down- he was afraid that my singing would wake up the kids. 😛 Oops. I need to get that album, I love the stuff I’ve heard.